Castro feels "more energetic and stronger"
Cuban leader Fidel Castro has said he's feeling well and happy, as he continues to recover from an operation. He made the comments on Venezuelan president Hugo Chavez's radio talk show. Castro called in by phone to give his first live comments since falling ill more than six months ago. He said he feels “more energetic and stronger” and that his country is running smoothly without him. The conversation was not aired live in Cuba but was broadcast shortly afterwards. Cuban state television interrupted its regular nightly news to broadcast the exchange. 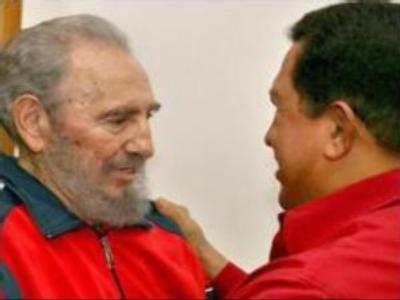 80-year-old Castro ceded power to his brother Raul after undergoing intestinal surgery in July. But he's hardly been seen in public, fuelling speculation about his condition.